We are mere days away from Kazuchika Okada taking on Jay White in the Tokyo Dome at Wrestle Kingdom 13. White has been dominant in all interactions between the two heading into wrestling’s grandest event. 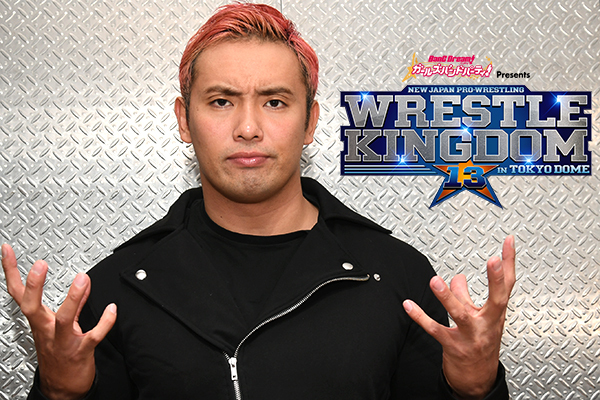 In this candid interview, Okada opens up about White and this most personal of rivalries. ―When we saw you on the last tour, you had blonde hair, but you’re back to the red now. Okada: Yes.I heard people saying that it was a special thing, that I went blonde because I was with Tanahashi and all that history. Truth is, it was just that the orange had come out (Laughs). I don’t want to rain on anyone’s parade, but it wasn’t a conscious choice to go blonde or a different direction. It was supposed to be orange. ― You went back to red right after tagging with Tanahashi, so I think that played into the talk. 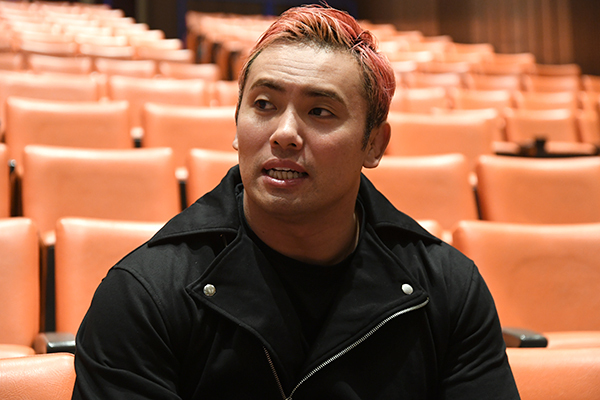 Okada: It was more that the tour finale was in Morioka and it was a big card, so I did another dye job. No real meaning to it! — I see. Tanahashi incorporated a little red into his own look. Did you take that as a particular nod to you? Okada: Not at all. We changed in different locker rooms, and we weren’t about to have a chat about fashion on the way out to the ring. ― Tanahashi said you two didn’t really communicate much before those tag matches. Okada: Right. Probably not enough in hindsight. — You guys didn’t get to that point, where you could talk to one another? Okada: To be honest, part of me didn’t want to. A bit of me didn’t really want to tag with him anyway, and I felt like ‘what if we have to face each other again?’ It was complicated. — You wanted to keep your distance. Okada: Yeah. A nice comfortable arm’s length. — it’s not just you and Tanahashi, but the walls between CHAOS and New Japan main unit have broken down of late. As the CHAOS leader, is that a little strange? Okada: Well, all this got to happen because of me, really (laughs). So I can’t really turn around and say to everyone ‘what the hell are you doing?’ Or ‘what’s going on?’ At the end of the day it’s making these fresh matches and making the fans excited, so it’s all good. Whether it all goes well, that’s a different question. ― We’re even seeming Makabe and Yano team up in the no.1 contenders match for the NEVER Openweight 6-man tag team championship on January 4th. Okada: Hm. But I think deep down, he isn’t happy about it. The GBH Yano and the Yano of today are very different people. I think if fans today saw Yano’s GBH stuff, they’d be stunned. ‘He was that fearsome?’ Kind of thing. Okada: So, whether all this works out in the end, we have to wait and see how it plays out. But for now it’s new, it’s something interesting. — There aren’t any people in CHAOS upset at this united front to face Jay White? Okada: It all started because of me, and that kind of means I’m not in a position to say… I don’t know, honestly. There might be people in CHAOS that don’t want to play nice with the core roster guys, that might leave the group. I really don’t know. There’s more things I don’t know about all this than things I do. Okada: Right. And I don’t know what Yano’s feeling, deep down. So, I don’t want to say CHAOS is going away, or that now CHAOS is part of the main unit. As far as I’m concerned, I want it all to be business as usual. — Do you yourself still strongly want to protect that image as a CHAOS representative? Okada: Yeah. It’s been like this for so long. CHAOS are my family. The other guys… are like distant relatives. Like the cousin you never knew about and didn’t meet until you’re an adult already. — To get back to that team for a second, you had maybe stood in the same corner with Tanahashi before, but that was long before the Rainmaker days. How was it, being out there on the same side? Okada: Well, there was a lot of other stuff going on. Rocky was out there, KUSHIDA was out there too. So it’s hard to tell. I think I’d have to team with him in a straight tag match to really answer that question. But tagging in and out with him, that was something different. — That first match had what might have been the world’s biggest pop for a simple double back elbow. Okada: Ha, I think you’re right. — The double suplex got a huge reaction, too. Okada: Well, no Okada suplex is an ordinary suplex. I guess you can say the same for Tanahashi. — It was the fundamentals of pro wrestling, but it got a huge reaction from the fans. Okada: True. 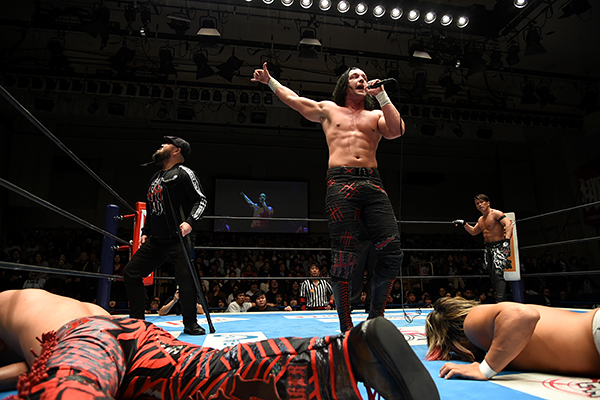 But in the end, Jay White came out of it all looking much more like a threat than Okada and Tanahashi. — Jay White and Bullet Club ended up beating you eight times over the last tour. Okada: Right. And even though Tanahashi and I didn’t communicate much, hadn’t teamed at all, we would hardly have lost to just anyone. Okada: And Rocky and KUSHIDA were in the mix too. That’s an awesome team. And for Jay to outperform is like that… He’s really carrying that Bullet Club team. — He’s only just joined Bullet Club, but he feels like the central figure of the group already. Okada: For sure. He’s the clear focus. They’re winning because of him. He comes in at the right time, hitting the Blade runner at the right time. He can really get that move off out of nowhere and just change the flow of a match in an instant. — When the Wrestle Kingdom match was announced, you said that Jay wasn’t at your level. How do you feel, revisiting that statement now? Okada: I don’t think I’m on an island here. The fans as well are now thinking ‘holy sh*t, this guy is something else’. He’s very impressive and only 26. He’s going to grow from here. It’s scary, honestly. Okada: Well, to have these young, hungry, fiercesome talents, that’s one of the great things about NJPW. And that’s what makes Kazuchika Okada a great opponent for Jay White to try and make his name off of. 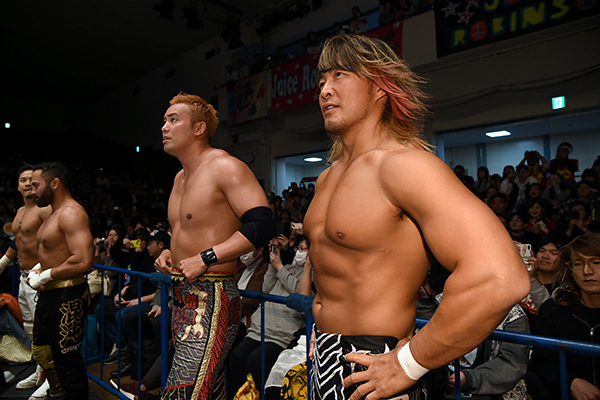 — Tanahashi and Okada are two huge stepping stones. That was a situation nobody could have expected. Okada: Well, he’s got a big chance to make his name off of me. But I want to remind him, making your name off of me isn’t such an easy task. It’s all going to make for a hell of a match at the Tokyo Dome. — These tag matches have really made things more exciting. Yeah. I feel that Jay White is the toughest foreigner in New Japan right now. I really do. Tougher than Jericho, tougher than Omega. — There’s amazing potential there. 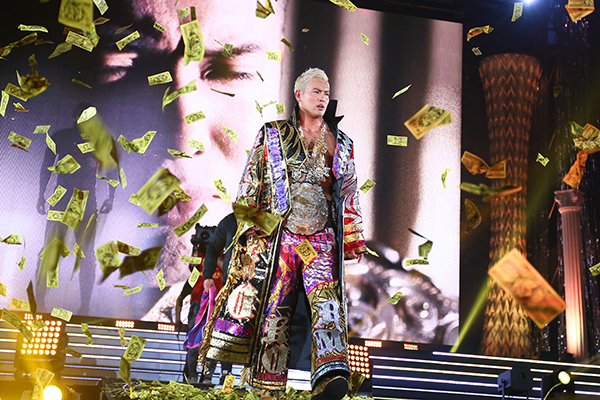 Okada: It’s more than potential. I think he’s the toughest right now. The world might not know it yet, but they just might after he faces me January 4th. —That said, it’s a match you can’t afford to lose. — Ever since you came back to New Japan as the Rainmaker, you’ve been headlining the Tokyo Dome every year. What is it like, going into Wrestle Kingdom this year? Okada: Honestly, I’m not that upset about it. If this was any other sport, the same sport isn’t going to dominate all the time. The Giants aren’t going to run the table every year. — This year, it’s a non-title match for you as well. How does it feel, heading into that? Okada: Well, the Dome is always the Dome. So the setting hasn’t changed. But the scenario, not a main event, not a title match. What’s that even like? I can’t remember, so I want to see for myself. I might get pumped up just like a title match, or it might be very different. I won’t know until January 4th, so I’m kinda excited, honestly. — We’ll be seeing a new Kazuchika Okada. — You think Jay is a fitting opponent for you now? Okada: I do. I really think he’s become a fitting opponent for that stage. I’m really surprised that he’s gotten to that point. Okada: Well, there’s a lot of exciting events announced. We have to show Sapporo and Osaka how awesome New Japan is in February as well. Every year, the company’s moving onward and upward and that means we as wrestlers have to step up our game, too. The business gears and the in ring gears have to be in sync with one another. For now, MSG is on the horizon, that’s one really exciting thing to look forward to, but we have to tear it up in all the other towns we head to before then. — New Beginning in Sapporo is two nights this year. Okada: Right. It used to be one event in Sapporo and that was it. Now we have two nights there, and straight on to Osaka. —And New Beginning USA as well! Okada: It’s full on for sure. MSG is coming up and we’re tearing it up overseas too. But I think we need to do our thing in Japan and make sure neither side is neglected. If we’re doing well in Japan, we’ll do well internationally as well, and the other way, guys killing it in the US are making the fans in Japan proud. ‘The NJPW we love so much managed to sell out Madison Square Garden’. I think there’s all sorts of ways we can blow fans away.